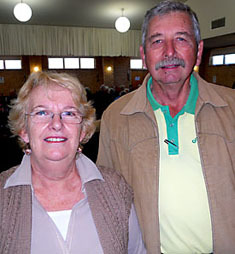 Trevor and Yvonne Ford lead the Port Macquarie chapter of Forgotten Saints - Australia. Trevor is an ordained Minister with World Bible Way Fellowship International. Geoff and Pauline Ainsworth volunteer with the team at Port Macquarie. They are a faithful and valuable couple. The story of the Australian branch of Forgotten Saints Ministry is a shining example of how effective it is to just talk casually and enthusiastically to people about your service to the Lord. It began in the late 1990s with a young man, Tim Parker, who was a Youth Pastor at Dubbo Baptist Church in Dubbo, Australia. He felt the desire to return to the U.S. for additional training and while here, came in contact with others who spoke highly of the work that Chaplain Ed Sample and his team were doing in nursing homes. Tim recognized the need for similar ministry in Australia and with Baptist leadership’s urging, arranged a mission/training trip to Australia with Ed. Tim’s heart had been touched and soon, so would others’. On this first trip, Ed met George Kincher who had expressed a desire to Tim and Ed to work with people in nursing homes. George did instant on-the-job training and began ministering on a regular basis after the U.S. team had gone. The seed was planted and, though small, it was the start of Forgotten Saints Australia. The second mission trip to Australia in 2000 brought expansion and change. Again, an enthusiastic testimony was the tool the Lord chose to use. George Kincher introduced Len and Virginia Edwards to Chaplain Ed after they had heard about and seen George’s involvement with the elderly. They all gelled and the Ministry had gained two more workers. Unfortunately, soon after, George died. But the Lord touched Len’s heart and he agreed to take over leadership of Forgotten Saints Australia. 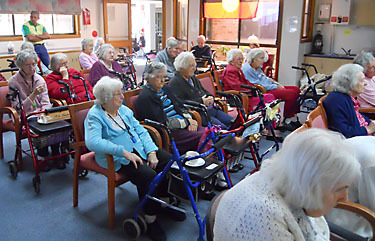 They continued with the nursing home that George had been ministering to and added more of their own. Len's current team of volunteers includes Cathy Germon who is a talented singer used in several services. Also on the team are Janet Bratby who serves as Music Director, Ernie Christopherson and Geoff Mercer. As Len’s team of volunteers grew, he added his former boss, Trevor Ford and his wife Yvonne as a team members after Trevor had heard Len’s accounting of the great things God was doing in the ministry. 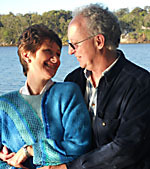 After a while, Trevor felt led to move to the Australian coastal city of Port Macquarie, north of Sydney. 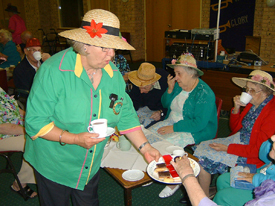 He and Yvonne continued to work with nursing home residents. The most recent U.S. team mission/training trip to Australia in 2012 formalized Trevor’s position as head of the Port Macquarie outpost of Forgotten Saints Australia. He now has a total of 4 homes and numerous volunteers working with him there. We expect God to continue to do great things in Australia and we know that people sharing their heart about their ministry to others will play a key role in its success and growth. Of course, if you’re anywhere close, visit one of their services and become involved with their teams. 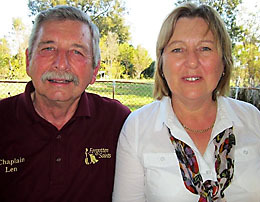 Len and Virginia Edwards have been called to lead the Australian branch of Forgotten Saints Ministry. They are a vibrant team who are having great success in leading people to the Lord in Dubbo. 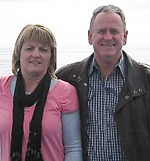 Len and Virginia are “empty-nesters” who live in Dubbo, New South Wales, Australia. Len is a retired police Commander and a founding member of the New South Wales Christian Police Association. He has been a guest speaker for various religious and civic organizations including the Fellowship of Christian Cowboys, Full Gospel Business Men’s Fellowship, International and World Bible Way Fellowship among others. He is also an ordained minister with World Bible Way fellowship. Virginia is an Administration Officer at the Technical College in Dubbo during the week and Len’s partner in ministry in her spare time and on weekends. Len was sworn-in during court trials many times during his 30 years as a Commander with these words: “I promise to tell the truth, the whole truth, and nothing but the truth, so help me God.” Len says this same oath applies as he preaches God’s Word. 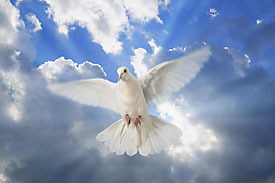 I experienced this miraculous work after reading the Bible and praying with an elderly lady. I had been regularly meeting with her for the past three months. She had just prayed and asked Jesus to come into her life as Lord and Saviour. I asked myself, “Lord what is happening here?” I then asked this man, “Well when the roll is called up yonder will you be there?” He looked at me and tears welled up in his eyes and started to roll down his cheeks as he said, “I hope so.” Tears came into my eyes and I asked him, “Do you know how you get to be on the roll up yonder?” He shook his head no. I shared the Gospel with him and he became a child of God. Three months later he went to be with the Lord. Praise God for His work and the presence of the Holy Spirit who chose to sing “When The Roll Is Called Up Yonder” to draw my attention to this lovely little man.